Stairs should have a handrail on at least one side if they are less than 1m wide. They should have a handrail on both sides if they are wider. You do not need a handrail on the first two steps up. If your staircase is wider than 1m then you need to fit wall mounted handrails. 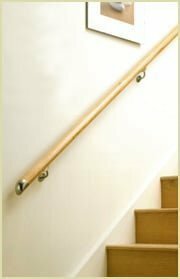 Pear Stairs have a wide selection of staircases and stair parts and have a number of wall mounted handrails available. 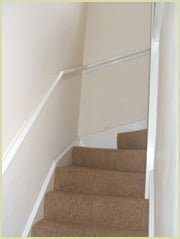 For use with a staircase where a wall is on either side or where the staircase is too wide and the building regulations require an additional handrail. 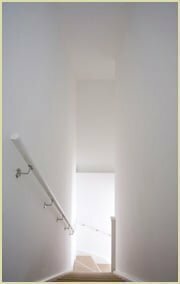 For use with a staircase where a wall is on either side or where the staircase is too wide and the building regulations require an additional handrail. Fixed directly onto the wall, therefore no brackets are required. 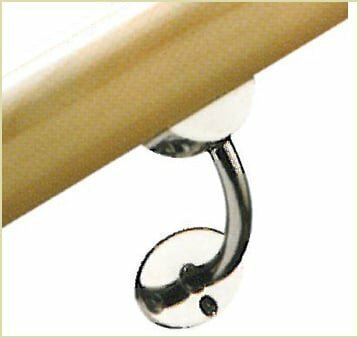 This handrail is also used frequently as a wall mounted handrail. 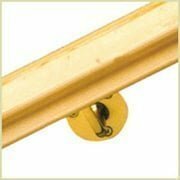 You may use low profile handrails or any standard handrails. 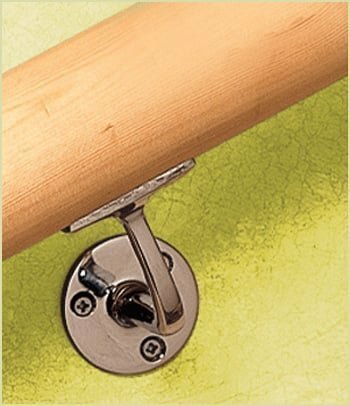 Used on all wall mounted handrails with the exception of the pigs ear handrail where a bracket is not required. 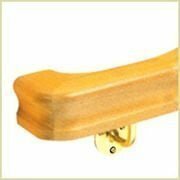 Our black handrail bracket compliments all styles of staircase from traditional, rustic or a more contemporary style. 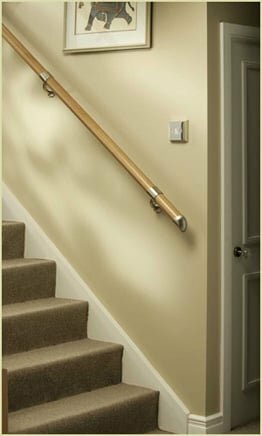 Our silver handrail bracket is suitable for all types of staircases although purchased mainly for the more contemporary style of home. 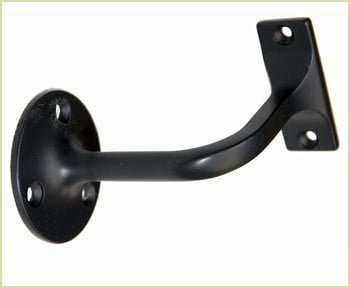 A popular choice for wall mounted brackets. 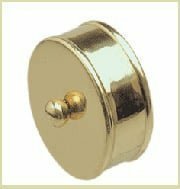 This is a sleekly designed metal wall bracket which provides a stylish stair accessory in brushed nickel or chrome plated. 2.44, 3.66 or 4.27 metre lengths. 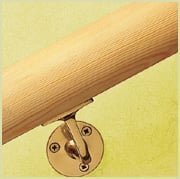 The handrail can be selected in Pine, Beech, Sapele, or White Oak. 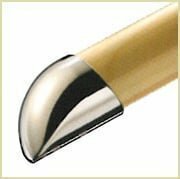 An ideal fitting to give your round handrail a clean and finished look. Pear Stairs have a selection of handrail end caps in brass and silver effect or matt black finishes, with a choice of two depths and an ornate filigree design. 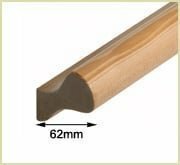 Suitable for round handrails 54mmØ. 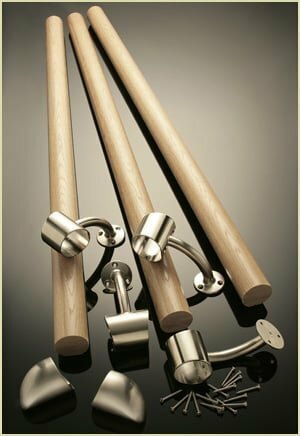 Pear Stairs offer a complete stair handrail boxed set with everything you need to add a stylish new wall handrail to your staircase. Supplied in one easy-to-handle box that fits comfortably in most car boots. 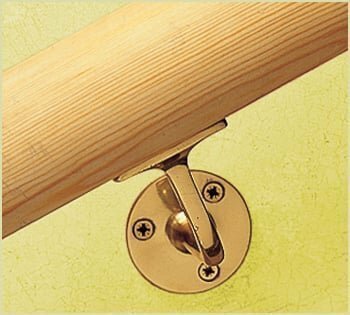 The pack includes all the necessary components for a 3.6m wall mounted handrail including all three 1.2m finished timber rails in Pine or White Oak, plus four wall brackets and two end caps in a modern brushed nickel finish. 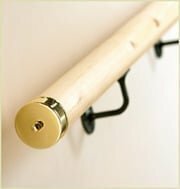 Pear Stairs sell wall mounted handrails in all shapes and sizes, but remember if you have any questions don't hesitate to phone us about your choice of wall mounted handrails. We are a very friendly company, phone Pear Stairs on 01938 553311.